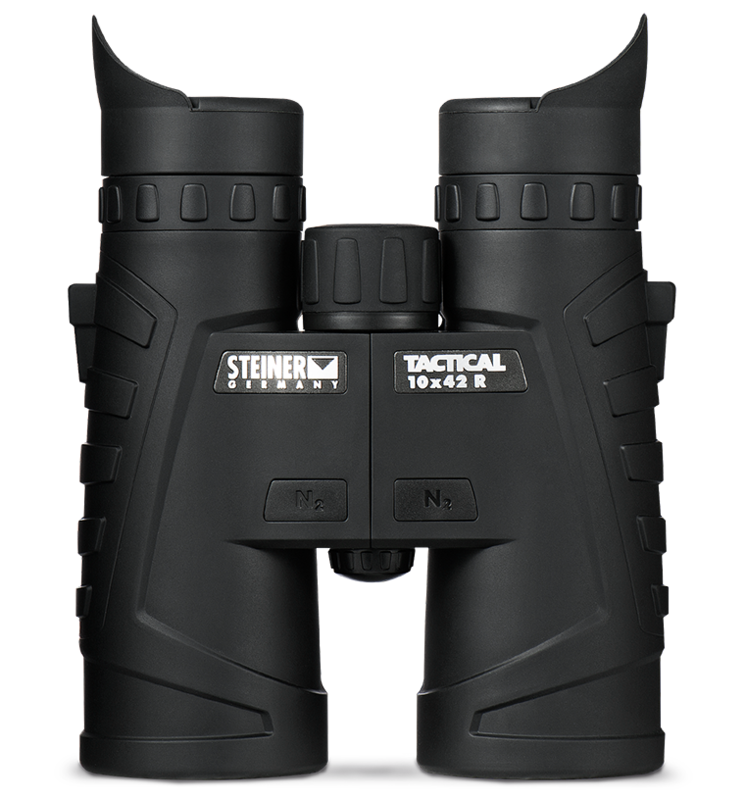 The Steiner Optics reputation for combat-worthy performance, toughness and dependability was earned the hard way: in battlefield and tac ops situations around the world. These tactical binoculars reflect hard-won experience with features, ergonomics and visual excellence that are unsurpassed anywhere, and rugged reliability that can survive anything. Whether you need a pocket-sized compact for your gear bag or a full-sized model to spot for your shooter, the Tactical Series will serve you well. is extremely light weight, compact and streamlined, easy to pack, carry, hold and use. are specially coated for the highest light transmission, sharp edge-to-edge views and contrast, even in low light. central focusing wheel requires minimal rotation for quick, absolute sharpness from close up to infinity. protects chassis and lenses, reduces noise and provides a sure grip in all conditions. attaches and releases neck strap or harness instantly with push button ease and designed so binoculars hang straight and action-ready. 105 m / 315 ft.